After struggling in the playoffs once again, the Vancouver Canucks finally decided it was time for a change. The Canucks fired head coach Alain Vigneault and hired John Tortorella. 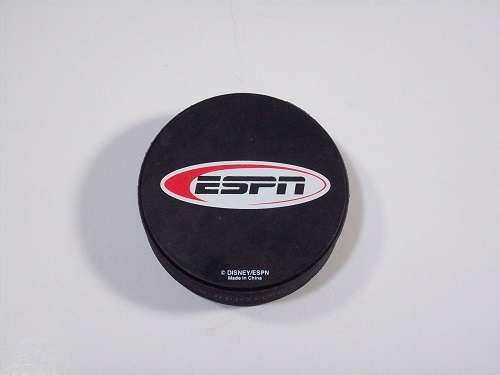 The knock on the Canucks was that they were too soft and would never be able to win in the highly physical playoffs. Enter John Tortorella, probably the most demanding coach in the NHL. I’ll be honest here, when I first saw the hire of Tortorella, I thought he would never be able to get players like the Sedins to play defense or do anything of semblance on the penalty kill. 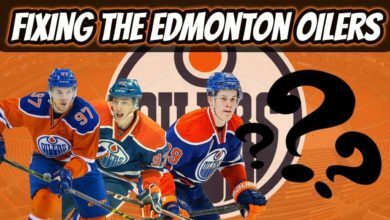 Nearly halfway into the season, please count me wrong. I apologize for doubting whether or not Tortorella could get this team to play his style. At first glance, many of you may seem confused. 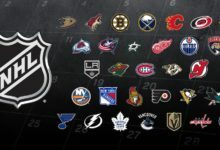 You look at the Canucks record, and see that they are 20-10-5 which is good for 9th in the NHL. It’s nothing special, and it’s really no different from their level of play over the last five years. However, the real difference is in the way that the Canucks play and I wanted to highlight what they are doing differently. 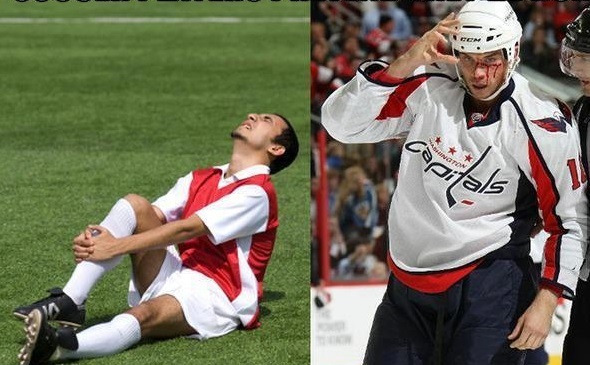 When I think of John Tortorella, the first thing I think about is blocking shots. When I first saw Tortorella heading to Vancouver, I’ll admit that I laughed because I could not imagine guys like the Sedins getting down to blocking shots. I couldn’t imagine a team that has ranked 22nd, 24th, 25th, 27th, and 27th over the last five seasons getting down to block shots. This year, the Canucks are 8th in blocked shots. Let me explain why this is significant. Last year, the Canucks gave up around 51 shot attempts per game. This includes all shots on goal, all shots blocked, and all missed shots. The Canucks allowed 57.3% of all shot attempts to get through on goal, a number that’s not great but really isn’t too bad. 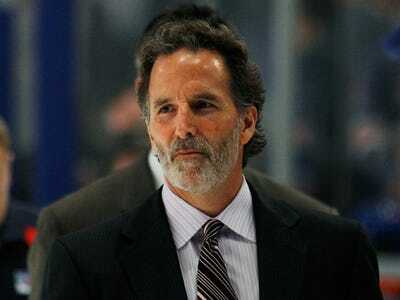 This year, John Tortorella has turned that around. The Canucks are allowing a similar number of shot attempts per game at 54, but this year, only 51.8% of shot attempts are getting through to the net. The Canucks are blocking 27.2% of all attempts and they are forcing opponents to miss the net on 21.1% of attempts. Essentially, because of the Canucks willingness to block shots, opponents are trying to be more precise with their shots, forcing them to miss the net at a higher percentage. This is great news for goaltenders Roberto Luongo and Eddie Lack. This has partially contributed to Roberto Luongo posting his best numbers since the 2010-2011 season. Here’s a better pictographic representation of what I’m talking about. The first picture below is from the Canucks’ last game of the 2012-2013 regular season against the Edmonton Oilers, a 7-2 loss. 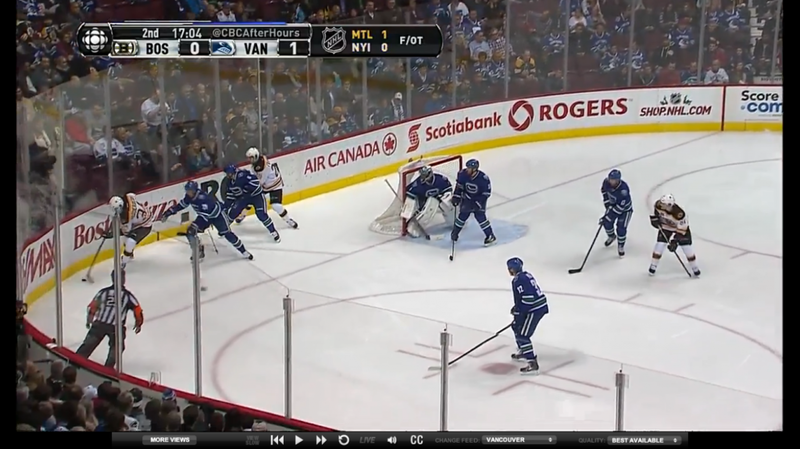 Check out the positioning of the Canucks’ forwards here. Here you can see how the Canucks’ defensemen are battling behind the net with two Oilers’ forwards. However, you can see how Oilers’ defenseman Jerred Smithson has snuck in to the slot and no Canucks’ player is within 20 feet. I reviewed the tape from a few other Canucks’ games from last season and found this in a few other games. The Canucks’ forwards were unwilling to collapse to the front of the net in hopes of starting the rush out of the zone. Now, let’s look at a screenshot from the Canucks’ most recent game against the Boston Bruins this season. Here is a similar situation. Two Bruins’ forwards are behind the net and they are matched up with two Canucks’ defensemen. This time, you can see the one Bruins’ player in the slot, but now there are three Canucks’ forwards within seven feet of him. All five Canucks players are at or below the faceoff dots. The forwards are collapsing to the front of the net, making it harder for the opposition to get their shots through. This explains why the Canucks are blocking a higher percentage of shots as well as why they are forcing a higher percentage of missed shots. The other major defensive change for Vancouver is their improved faceoff percentage. Last year, the Canucks were an atrocious 47.6% in the faceoff circle, good for 25th in the NHL. In previous seasons, the Canucks were near the top of the league in faceoff percentage, however a large portion of that was due to the use of faceoff specialists such as Maxim Lapierre, Manny Malhotra, and Samuel Pahlsson. Ryan Kesler has always been good, but the major issue was always Henrik Sedin. For his career, he’s been a 48-49% guy which isn’t terrible, but when you look at guys like Pavel Datsyuk, Sidney Crosby, and Jonathan Toews, you see guys who are regularly between 55-60%. You want the guys that are going to play the most to be able to win faceoffs at better than 50%. This season, Henrik Sedin has the 2nd best faceoff percentage of his career as the team’s #1 center at 51.5%. The team as a whole is winning 51.1% of their faceoffs. The reason why I’m stressing what may seem like a subtle difference in faceoff percentage is because it actually impacts playoff success. 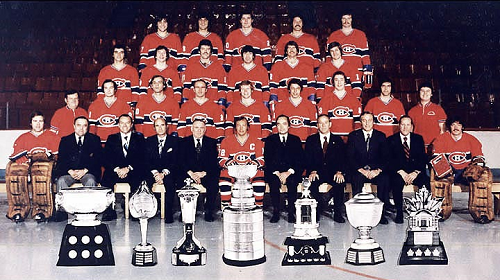 Since 1997-1998, teams that won a higher percentage of faceoffs in the regular season won 61.8% of all playoff series. That’s an enormous advantage and when you look at the Stanley Cup Champions of the last 6 years you can easily see why it is important that your best players be good in the faceoff circle. 2013 – Chicago Blackhawks and Jonathan Toews. 2012 – Los Angeles Kings and Anze Kopitar. 2011 – Bruins and Patrice Bergeron. 2010 – Blackhawks and Toews. 2009 – Pittsburgh Penguins and Sidney Crosby. 2008 – Detroit Red Wings and Pavel Datsyuk. Need I continue? Probably not. With Henrik finally able to win faceoffs at better than 51%, the Canucks can finally say that their #1 center can win faceoffs at a high enough rate to be successful in the playoffs. The improvement in Henrik’s faceoff circle led me to examine how the Sedins have improved in other facets of the game, which brings me to the other major change Tortorella has brought to Vancouver. We’ve already talked about Tortorella’s insistence on blocking shots. I figured that if he demanded that the Sedins block more shots, this would force them to be closer to their own net and that would lead to a decrease in their offensive production. 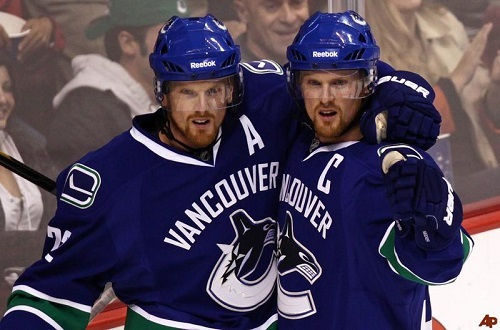 In reality, the Sedins are producing at their normal level, each totaling 31 points through the first 35 games. Now it’s not like these guys are shot-blocking machines, but what we have seen is improved coverage of the opposition’s defense. The Sedins and all other Vancouver forwards are doing a much better job of staying in the passing and shooting lanes. I’ve been very impressed thus far with the positioning of the Sedins in their own zone. All of this has led to Tortorella trusting them in more situations. The Sedins are playing a full two more minutes per game than they did last year, both averaging over 21 minutes a game. Both Sedins are averaging nearly one minute per game on the penalty kill and the Canucks have one of the top-rated penalty kill units. What does this all mean? Well this means that the Canucks are getting to play their two best offensive players more often during the game without suffering any defensive deficiencies. This will ultimately allow for the Canucks to generate more scoring opportunities. All of these observations are backed up by advanced statistics. The Sedins are playing against a higher quality of competition than they ever have before, they are starting less shifts in the offensive zone, and most importantly, are continuing to produce at the exact same offensive rate. I’m not saying you should head to Vegas and bet on the Canucks to win the whole thing. What I am trying to say is that John Tortorella has improved the defensive positioning of his club, has gotten his two best players to play better defensively, and ultimately this has allowed him to utilize those two guys more. The Canucks are doing the things that are predictive of Stanley Cup success well. 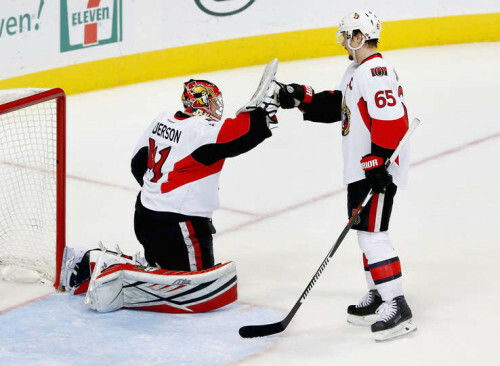 They are winning faceoffs at a good clip, have a great shot differential, are forcing opponents to think more when taking shots, and these guys are only going to get better. The Canucks still have plenty of places to improve, as they need more consistent secondary scoring, but they are on the right path for Stanley Cup success. It may not seem obvious now, but when the playoffs come and teams start to place a higher emphasis on blocked shots and conservative play, the Canucks will have the upper hand as they’ve been playing that way all year.